Imperial Pacific International (CNMI) LLC has agreed to pay the U.S. Department of Labor a total of $3.36 million as part of a consent judgment intended to resolve a labor lawsuit the department filed against the company. The $3.36 million is composed of $1,580,00 in back wages, another $1,580,000 in liquidated damages, and $200,000 in civil monetary penalties. IPI has already paid the Labor Department $300,000; the rest will be paid off as part of the consent decree. 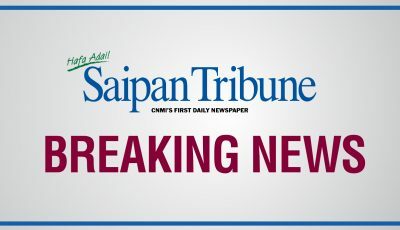 The U.S. Department of Labor sued Imperial Pacific International Holdings Ltd. and its subsidiary, Imperial Pacific International (CNMI) LLC, for alleged violations of the Fair Labor Standards Act over the construction of Imperial Pacific Resort Hotel and Casino in Garapan. Labor Secretary R. Alexander Acosta filed the lawsuit in federal court following an investigation on the casino construction project covering the periods from Jan. 22, 2016, to Dec. 19, 2017. The investigation revealed violations of the FLSA caused by IPI contractors’ failure to pay overtime and minimum wages, as well as maintain records required by the FLSA. According to the draft consent judgment, IPI already paid Labor $300,000. IPI shall pay to Labor the remaining $3.06 million (which includes interest) in three payments $1.02 million on the first of December in 2019, 2020, and 2021. U.S. Department of Justice senior trial attorneys Cherlyl L. Adams and Boris Orlov are counsels for Acosta in the lawsuit, which was filed before the U.S. District Court for the NMI last Thursday afternoon. Orlov signed the consent judgment last April 9. IPI Holdings Ltd. chairwoman Cui Li Jie, who is also the representative of IPI (CNMI) LLC, signed the consent draft judgment last April 5. Eugene R. Sullivan is counsel for IPI. According to the lawsuit, Acosta determined that IPI had economic control over the casino construction project and its contractors’ workers on the project, making it an employer of those workers for purposes of the FLSA. As a result of IPI’s contractors paying employees an hourly rate below the required federal minimum wage, defendants have violated the provisions of the FLSA. Acosta asked the U.S. District Court for the NMI to find IPI liable for an unpaid minimum wage and overtime compensation during the period that may be found by the court to be due under the FLSA. He also requested the court to hold IPI liable to pay the former workers an additional amount for liquidated damages. Under the draft consent judgment, IPI understands and acknowledge that demanding or accepting any of the funds due employees under this judgment or threatening any employee or retaliating against any employee for accepting money due under this judgment or exercising any of their rights under the FLSA is specifically prohibited by the FLSA. IPI acknowledges that violation of this judgment may subject the company to equitable and legal damages, including punitive damages and civil contempt. Identity of all employees is not presently known and that the list will be amended by Acosta at his discretion upon identifying the employees. The Labor secretary shall allocate and distribute the amount due that is paid, minus deductions from employees’ share of payroll and withholding taxes. Any money not paid within three years from the receipt of the final payment—because of an inability to locate the persons or because of their refusal to accept it—shall go to U.S. Treasury. All employees shall be paid an hourly rate and in compliance with minimum wage and overtime provisions of the FLSA. All production or other bonuses will be included in the calculation of the regular rate for purposes of computing overtime. Within 120 days of entry of this judgment, IPI shall require all construction contractors with whom it does business to deposit with IPI or in escrow the amount of $100,000 or one month payroll, whichever is more. This amount must be available to pay back wages to employees in the event violations are discovered by IPI, the independent monitor, or Labor. The contractor must maintain this deposit throughout the duration of its work for IPI. After 30 days of this judgment, IPI shall not enter into any new contract with, extend any contract of or provide any work to any contractor who has not obtained the required deposit. IPI shall also hire an independent third-party to train contractor supervisors about the FLSA. All current and future construction contractors shall also attend an education outreach seminar by the Wage Hour Division of Labor (and any other Wage Hour invited agency such as OSHA, CNMI Casino Commission, and CNMI Labor). The contractor representative must be managers with responsibility for business operations and supervisors who are responsible for payroll and employee work conditions. IPI will be made to work with an independent monitor selected by USDOL and appointed by the court to monitor IPI and contractor compliance with the FLSA and the terms of the consent judgment. The independent monitor is permitted to enter the worksite without prior notice, inspect all of the facilities and working conditions of the worksite; and inspect all books, records, and documents. IPI will pay for the independent monitor. On or before April 15, 2019, IPI shall deposit $45,000 in the court’s registry for payment to the independent monitor. On or before Nov. 1, 2019, IPI shall deposit a second payment of $45,000 for payment to the independent monitor, for a total payment of $90,000. The independent monitor shall submit quarterly billing statements to the court and the parties starting on July 15, 2019. The total billings by the independent monitor shall not exceed $90,000. The accounting firm Burger, Comer, and Magliari has been appointed as the independent monitor to monitor IPI’s compliance with the FLSA and the terms of the consent judgment. On or before May 30, 2019, the independent monitor shall do separate educational question-and-answer sessions with each of the contractors performing construction work at the IPI casino site with supervisors concerning the requirements of the consent judgment and the FLSA. One hundred-twenty days after entry of the consent judgment, the independent monitor shall interview employees, onsite, offsite, and/or by telephone concerning the contractors’ compliance with the terms of the consent judgment and the FLSA, including anti-retaliation provisions. If the independent monitor believes any legal violation has occurred, it will notify IPI at once. IPI shall then correct the wage violation by the next payroll unless IPI dispute the violations, in which case the alleged violations shall be reported to Acosta and any other regulatory agency within five days. The duties of the independent monitor will end one year after, unless the court orders additional monitoring.